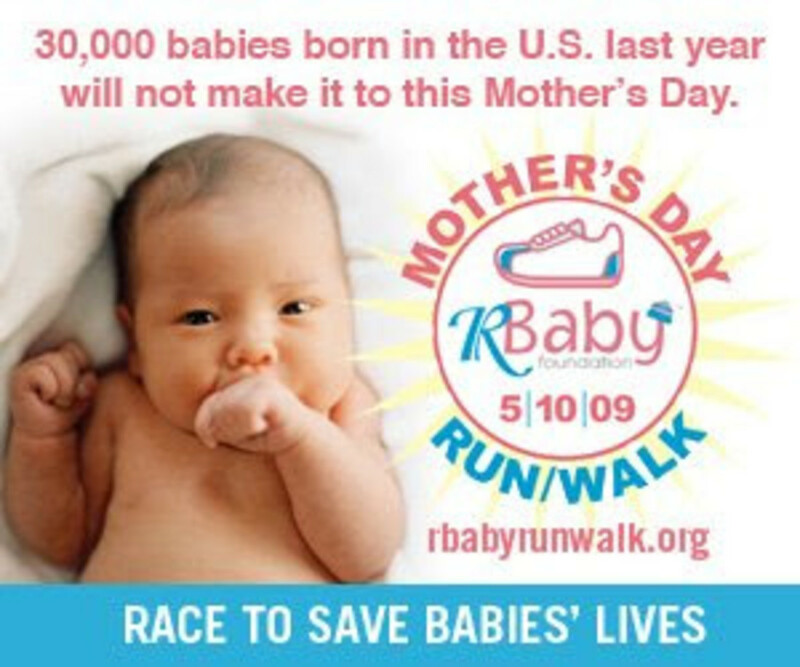 On Mothers Day (May 10) the R Baby Foundation will bring families together for a morning Run/ Walk/ Family Festival in Central Park. The day will feature an amazing array of family fun (Nike Sports Clinics, A concert by Raggs the Dog, a Pampering Pavilion for Moms, Stroller Parking, A Family Lounge, etc.) as well as some great races: 4-mile run, 1.3 mile Health Walk and Kids&apos; Fun Run. The goal? To increase the standard level of pediatric emergency care in NY and in the US. R Baby Foundation is dedicated to ensuring that newborn babies, primarily those in the first month of life suffering from viral infections and other infectious diseases, receive the highest quality of care and service through supporting education, research, treatment, training and life-saving equipment. R baby was founded by parents who lost a baby too early in her life. they turned the tragedy into a foundation that aims to save other parents this nightmare. So lace up New York!